Before I set out the details for this week's challenge I have some more sad news. The lovely Lynne Forsythe has been with the Simon Says Stamp and Show Design Team from Day One and this week is her final project ... it is time to say goodbye! 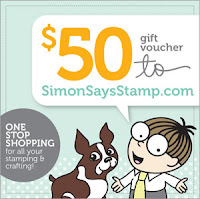 I am sure you will all join me; the Design Team and the entire Simon Says Stamp family by saying a huge THANK YOU to Lynne for all her hard work and wonderful inspiration! We are going to miss you Lynne and we wish you the best of everything! 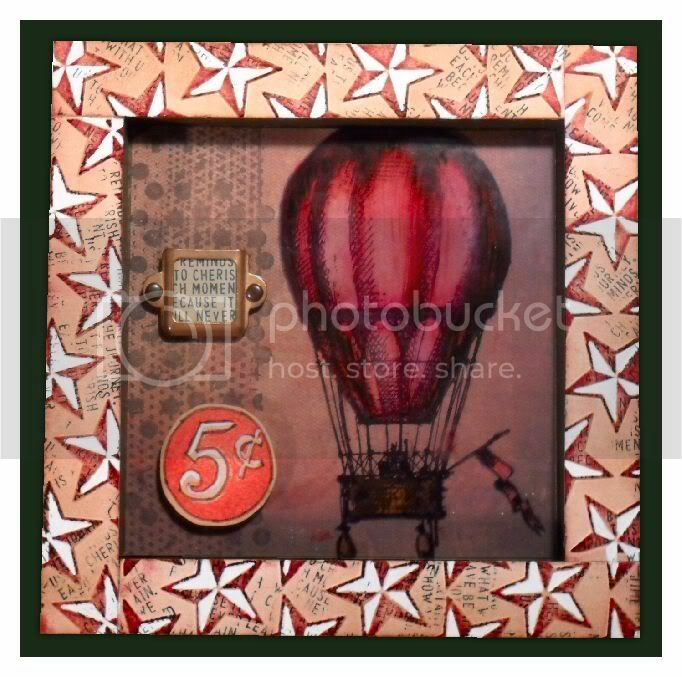 Sarah loves indulging in torn cardboard layers, gesso and shabby fabric to create texture, so she created a card with all three using the wonderful images from Artistic Outpost's Think and Wonder stamp set. She also used lots of Walnut Stain Distress Ink, Gesso and touches of Viva Decor Old Gold and set her layers on Tim's Kraft Resist Paper Stash base. 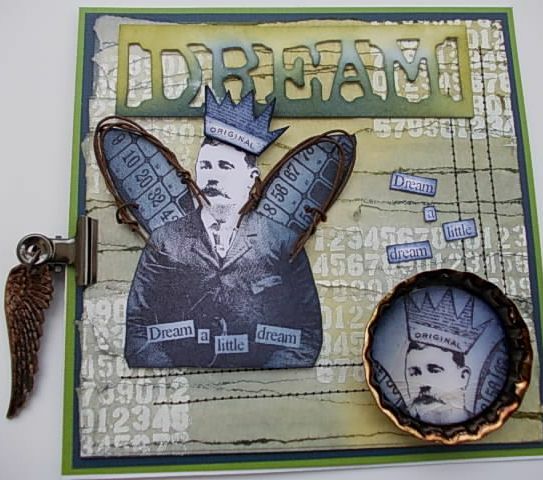 Tracy is encouraging us to Dream A Little Dream this week with her original piece using Tim's Dream A Little stamp combined with lots of texture from torn masking tape, rusty elements and stitching. Adding a little dimension with a Large Bottle Cap. Did somebody say TEXTURE.....'cause Lynne just loves that word! 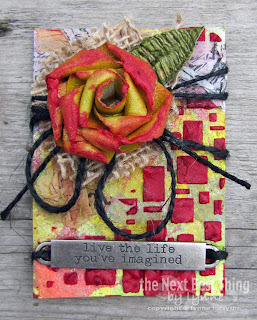 She created a texture packed ATC for this weeks challenge. She began with a Watercolor ATC and added tons of color to the background. Wrapped it with Tissue Tape and added some Tissue Paper adhered with Multi Medium. She topped it off with a rose made from Grungepaper! TEXTURE...so fun to play with! Candy has created a texture rich trinket box. 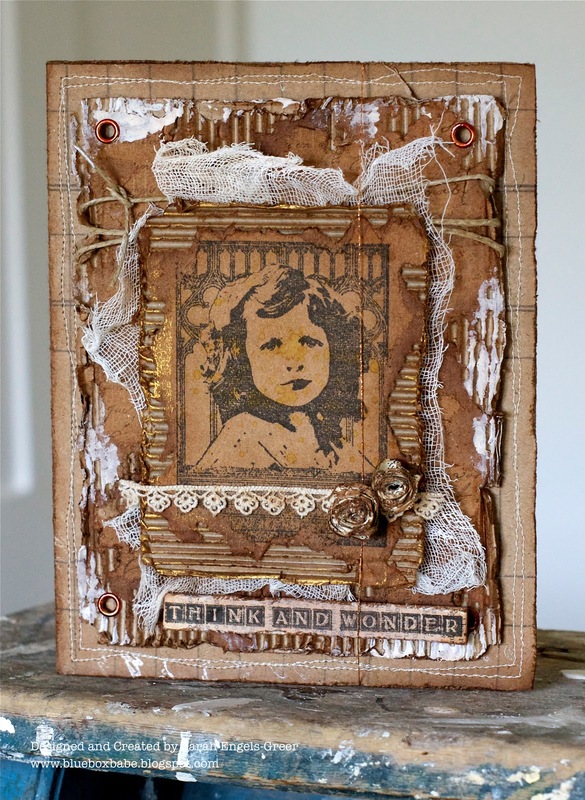 She began with Claudine Hellmuth's Gesso, Dyan Reaveley's 5x8 Diamond of a Border, Dotted Flowers, Letter Jumble and Luscious Leaves Stencils to create much of the texture on the top. Embossed Ranger Foil Sheets embellish the sides of the box. A Juniper Paint Dabber helps patina the finish and the metals. Melted Clear UTEE give the flowers a faux porcelain look. Terry made a textured ATC as she loves to play with Wendy Vecchi's stamps and her favourite Just Flutterby Butterfly of course. 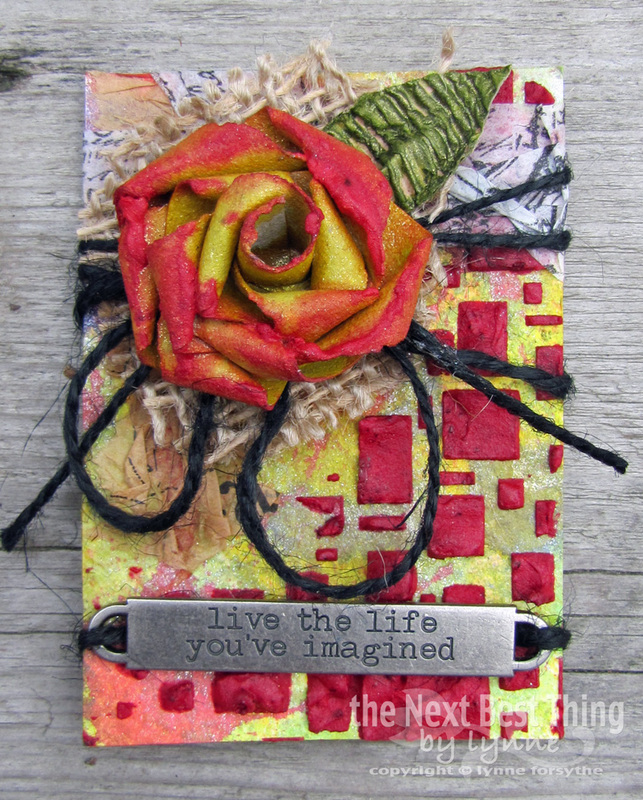 She used Spring Seasonal Distress Inks, Distress Stains and Crackle Rock Candy. Rock Candy and Glossy Accents were used on the butterflies to create a different texture. A Sprocket Gear adorns the Rosette, the Hope word stick is from The Tim and the back was finished with lots of colour and lace too. Dan used the Stars embossing folder to add texture to his shadow frame, before blending Gathered Twigs distress ink onto it. He then rubbed an Aged Mahogany pad over it to bring out the raised detail on the stars and filled the recessed areas with a white pen. He stamped the balloon onto acetate and coloured the rear side with Distress Markers. Other products he used included the Elements of Time, Mixed Media and Remnants stamp sets and a piece taken from the Destinations card stack. When I hear the word texture ... I grab the Grunge paper! I upcycled my Chip Coaster with lots of Wendy Vecchi Studio 490 Stamped Grunge paper! Of course all my elements just had to be coloured with Distress Inks! The prize will go to a random entry chosen by Random Generator. The challenge will close at Midnight Eastern time on Sunday, 10th June 2012 and the winner will be announced during the following week. To qualify all you need to do is create a new piece of work ... post it on your blog ... with a link to this site and then pop a link below so everyone can come see what you made! The DT's creations are wonderful. So much inspiration. Thank you for sharing. Loveley work this week from the DT. Sorry to hear that Lynne's moving on, but I'm sure we'll continue to see her wonderful artwork in the blogosphere. So much awesome work shown here from the DT again. Really gorgeous and inspiring as always. Sorry to see Lynne leaving, but as someone sauid, sure we´ll see her around outthere anyway, I sure hope so. The DT pieces are amazing and very inspiring. This challenge is great again and the examples from the DT members too! Gorgeous creations!! Good luck to Lynne, we will miss you. Great texture ladies, fantastic challenge thanks! On the day this challenge started I had entered a card and when I came back with some other entries I did not see my first entry so I have reentered it. All your projects are so inspiring. Blessings! thank you for the "texture" challenge!